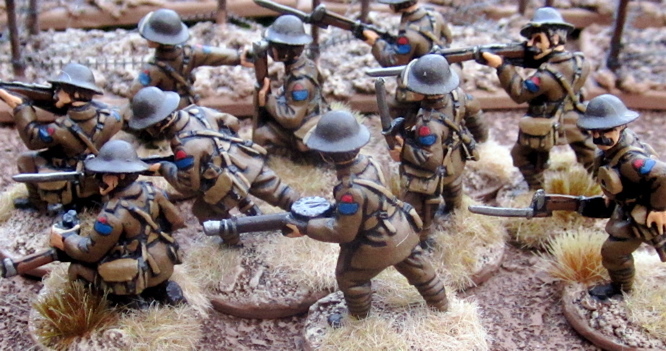 One last minis post for the year, as I doubt I’ll get anything else finished… Back to the Khaki! The formation patch for the 24th Battalion was a red semicircle surmounting a blue patch – the blue patch was for the 2nd Division, the semicircle indicated the second battalion within the brigade and the red indicated the second brigade within the division. And with that I bid you all, my dear readers, a Very Happy New Year! They look superb, well done! 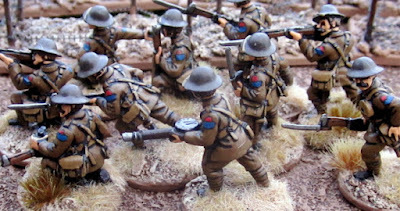 Nice return to khaki, these seem very animated figures lovely painting as always.